From L’Heure Bleue to Vent Vert and Habit Rouge to Bulgari Black – the latter being the colour of preference: at 40 Noir/Blacks, I stopped counting – the fragrance industry has always borrowed from the chromatic wheel to name its products, usually through adjectives. Now trending: serving up the colours plain. Lacoste Rouge, Vert and Bleu earlier this year, Puma Green and Yellow in June and in between, the new Comme des Garçons Play trio, Red, Green and Black. The operation was a quickie, says CdG Parfums artistic director Christian Astuguevieille, with developments wrapped up in two months, the idea being to keep the scents as simple and approachable as the Japanese brand’s “absence of concept is creation” Play line of tee-shirts, polo shirts and sweaters. Unlike Comme des Garçon’s Red and Green series (Incense could stand in for Black), the new trio isn’t figurative, but what’s striking is that most of the notes used in each scent stick to the same colour as the name, a pretty playful idea in itself, though the perfumer Antoine Maisondieu said he hadn’t done so deliberately. Play Red is built around a cherry accord – and if anyone could make a cherry edgy, it’s Comme des Garçons. The trick, Maisondieu explains, was to veer off the classic, almondy-sweet combination (heliotropine, benzaldehyde, adding ethyl maltol for black cherry) by using a special quality of Tolu balsam with a cherry facet, along with cinnamon in which he also perceives a cherry effect. Red mandarin (i.e. the oil extracted when the fruit is ripest) adds juiciness along with fresh/caramelized contrast of aldehydes and cumin; Safraleine – yet another tone of red – gives a leathery edge to the blend, along with slightly rosy facets. The result is a tart, non-gourmand cherry with burning cinnamon-candy undertones, as good-natured and cheerful as its namesake colour: my favourite of the trio. 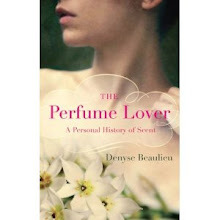 Notes: Red mandarin, pink peppercorn, Safraleine, red cherry accord, geranium, cinnamon, osmanthus, myrrh, tolu balsam. Play Green takes off with a huge, nose-cooling gale of mint, the intensely sweet “nanah” variety used in Moroccan mint tea, which according to Maisondieu has a slight absinth facet. Though the mint dominates throughout, lime and juniper add fizz, basil and lentisque a slap of sap, while vetiver roots the leafy bouquet. Notes: Nanah mint, lime, juniper berry, basil, jasmine, mastic, ambrette, vetiver, cedar. Play Black is the most masculine and offbeat of the bunch, a sooty-hued scent with a salty flavor that somehow conjures algae, another tone of black to match the powerful Madagascar pepper oil, layering over the matte metallic diesel tones of oxides and sticky-smoky birch tar oil. Incense picks up the pepper in the base notes. Lavender isn’t listed, but matched with the tree moss, give Play Black a fougère-like vibe. Notes: Black pepper, pepperwood, red pepper, violet, thyme, black tea, birch tar, incense, tree moss. 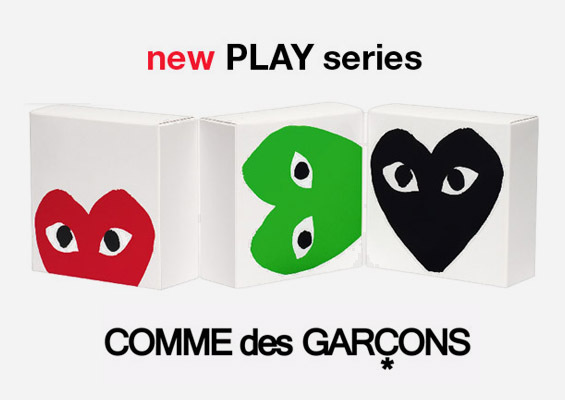 Comme des Garçons Play Red, Black and Green are available in an “accordion-box” three-scent set as well as separately, adorned with the impossibly kawaii heart logo designed by Filip Pagowski. I’ll be drawing a set of 2ml decants of Play Red, Green and Black. Just drop a comment saying which fragrance you know/own is, to your nose, the reddest, greenest and/or blackest. Reddest was the toughest one to find as I usually dismiss red fragrances since they tend to be fruity-girly in my mind. The CdG though sounds pretty interesting. I like "twisted" fruit themes. pomegranate by Jo Malone is a good one that comes to mind. I haven't tried any of the CdG Play series, but anything that invokes cherries would be colored red in my imagination. Thanks for the great blog and for the draw. I find I often wind up choosing my scent based on what color clothing I'm wearing. Red for me is often Harissa or Rose Ikebana. Green? ::thinks:: Huh. I have almost no green stuff in my perfume wardrobe, now that I think of it. They just aren't notes I go for - probably my greenest fragrance is Carnal Flower, which is not all that green... Black? Well, I have Bulgari Black, but for me, I notice I often go for Tolu or No. 5 when I'm wearing black. I don't think it's about the color so much as the association with black and classic and elegant. I'm a huge fan of the CdG line - these sound like a bunch of fun. This trio sounds so sniffworthy :). Blackest: I don't wear black, so usually my fragrance associations are not black either. But H&G Askew and SL Chêne are dark brownish-grey, like tree bark. The CDG play green sounds fantastic. The blackest fragrance I've smelled is Rien. The reddest: the smell of (spicy) cinnamom chewing gums. My reddest... maybe Eau Lente, with all that cinnamon. I'd love to try the new CDG! 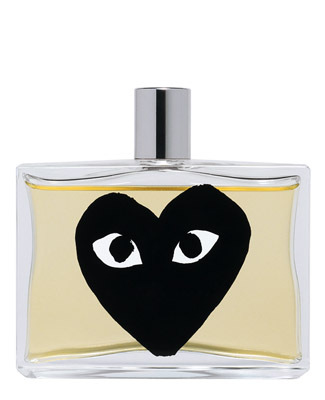 Hello, Denyse!You made me curious about these CdG fragrances. I love the bottles!! The coffret is really cute. They look like bouncy little aliens. For red, SL's Rousse, of course. For green, DSH's Viridian is a good candidate, or the latest Aedes de Venustas. For black, that would have to be Lalique's Encre Noire. Kostas, I agree red is a tricky colour to translate into scent. I'd go for a deep rose or maybe saffron -- Safran Troublant? Cheesegan, what I love about Play Red is that it's such an unusual take on cherry, it would reconcile me with red fruit in perfumery! StyleSpy, when I wore colours I did that too -- now I'm an all-black lady, so I guess it can go with every scent I wear! Maria Ho, I love that bark-grey image for Askew and SL Chêne... Really must dig out my decant of Harissa too. Zazie, I definitely associate cinnamon candy with red too -- if it's a smell you like I suspect you'd enjoy Play Red. MissK: steamy here in Paris too! And I could totally see why you'd get red (more like a brownish-red spice tone) from Chinatown. Ana, that's two votes for Rien being black, which kind of makes sense for a perfume called Nothing. I always got lots of charred notes from it. Marla, you're right, they do look like cute (but mischievous) little aliens. Reddest: Multiple Rouge by Humiecki & Graef. Blackest: Or Black by Pascal Morabito. Greenest: Futur by Robert Piguet. Susan, deep roses definitely conjure velvety red, don't they? Chris, glad to see Humiecki & Graef get another mention, it's such an original brand. Anna-Lyssa, I am woefully ignorant of Etro and will have to check out Palais Jamais. Love the Kilian, and Patchouli 24 is up there with my favorites by the great Menardo! Green and black were the easiest to position. Eau de Guerlain is the greenest of greens and was in fact the scent I chose to wear today in Cork's surprising heat. Black is my tola bottle of Ajmal's Musk Ghazelle, which smells to me like black fur stroked the wrong way! Like your first poster the hardest for me to place was red. I had to sniff every bottle I own to place it, and the closest I came to it was the thick and plush Ambre Sultan. However, I settled on a very vivid scent memory of a perfume I bought my ex-wife, (the very apt).Cartier's Le Baiser du Dragon! What a fun series by CdG! Thanks for the introduction, and for the thought provoking drawing question. . .
Reddest--POL's Luctor Et Emergo for it's cherry note? This was the hardest for me to choose. Lyric Woman was a close second. CdG is such an interesting line. I have the #2 which is "inky" and I love it. Red catches my taste at first here but the black is intriguing....Green with the minty thing doesn't suit me usually...thank you for the draw opportunity. Thanks for the draw. These look interesting. Black is, well, Black. Something about the rubber and packaging is forever ingrained on my brain. Red is piment Brulant for its spicy herbal ness. Green is Chanel #19 or infusion d'iris. Alina, thanks for pitching in. I think I've never smelled Absolu by Rochas. Cybele, you're right, with all that pepper Bang is black! 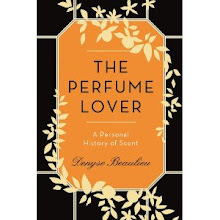 Stephen, chuckling at Le Baiser du Dragon for an ex-wife... Perfumes are our subconscious! HemlockSillage, I remember when the online perfume community was all about Luctor et Emergo... They've kind of dropped off the radar, haven't they? Kathryn, CdG Play Red manages to smell both new and comfortable, I'm really enjoying my sample. Nancy, like you I find mint-centred scents kind of difficult to pull off. Might work in searing heat though! TaffyJ, I've got a sample of Cinabre, which of course means vermillion red, I'll have to explore it further. CM, quite agree that Black is black! Does anyone remember a line that, I think, was made by Prescriptives which was an unfeadibly huge range of fragrances named after colours? It was probably about 20 years ago, and (if my poor memory serves me) there were about 30 different bottles. I seem to remember a big bank of bottles arranged in Harrods according to the chromatic spectrum (if that is the right terminology!). I think I felt that most of the fragrances smelt a bit like Calyx! Jillie, I missed out on that Prescriptives range completely. I think the brand was never commercialized in France, and I was already living here at the time. Curious to see if anyone chimes in. And Denyse, do you perhaps know if original Play stays in production? Bottles of classic and Red Play are so similar, but can assume there are two different scents. Ela, yes, the original Play is still in production as far as I know. Reddest: Chypre Rouge is the reddest because the intense opening makes me think of a certain kind of red (berry) candy from my childhood. Blackest: AG Eau du Fier! Strong black at first but "watercolor black" when it evolves. Mikael, I love Eau du Fier and have a large decant somewhere. It does have smoky-black tones, doesn't it? Thanks for the draw, Denyse! Red: Micallef Red Sea (rose, cinnamon, and sandalwood). Tauer's Auburn (cinnamon and tobacco) would be a close second. Red: Absolue Pour le Soir-a sort of devil-red! Hard to see black in a fragance, but this from Le Labo is a great example, for me! Laurinha, I'm getting lots of fig scents for "green", which of course makes loads of sense... And so seasonal! Janice, thanks for reminding me of Calamus. Need to get more, even a bottle. Very original note. Eva S, Bandit is as black as a film noir, you're right! Maureen, since Coco was inspired by Chanel's coromandel screens, there's definitely red in the mix! Joaquim, you've named three scents I really love. Patchouli 24 is really pretty charred. Hi, thank you for the draw. My first time commenting, but I'm a regular reader. I own and love them all! Anat13, Pure Oud is a lovely velvety inky castoreum black, I agree! Unknown-regular-reader, great choices! If you could pick a pseudonym it would make it easier to identify you if you ever won the draw! I like that CDG is back to doing concept fragrances. Black and Red appeal, especially. Arabic mint tea is delicious and owes much of its charm to the use of ( frequently ) fresh leaves and a great deal of sugar, but all of the mint I encountered in the Mid-East was regular peppermint or spearmint. Greenest: Eau de Camille. (Light green, almost yellow actually). Reddest: I can't make up my mind. I'd say Chypre Rouge or Santal de Mysore. Blackest: Bvlgari Black, of course. Sugandaraja, thanks for the linguistic input! Not sure though that a fragance reminiscent of mint tea (which already exists in the CdG Series Green) would appeal to the Arabic market: it would probably be too reminiscent of something edible and familiar. Mathieu, true, but Dominique Ropion once told me he'd read a study that tended to indicate that certain smells were indeed associated with certain colours in blind tests. Thanks for the draw! The greenest scent (and one of the best!) to me is Annick Goutal Eau de Camille. It's playing outdoors in the summer as a child, bottled. Liz, I think that was pretty much the idea since the scent was composed for Annick Goutal's young daughter... A happy vibe to get from a fragrance! Black: Nasomatto Hindu Grass, thick black hashish resin!